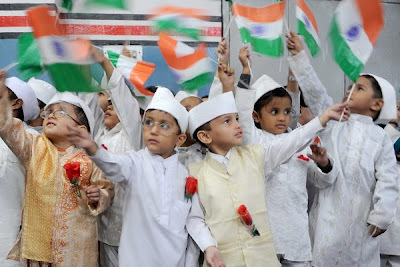 01) India celebrates Independence Day on 15th of August each year. This year (2013) we are celebrating our 67th Independence day. 02) Before independence, India was ruled by the British. 03) The English people, who actually came to our nation to do business gradually captured our nation and ruled us for more than 200 years. 04) During the British rule, Indians had to face a lot of problems. 05) Under the leadership of Mahatma Gandhi, Nehru, Subhash Chandra Bose and many other leaders, the people of India fought for independence in the non-violent ways. 06) Finally, India was declared an Independent Nation at midnight on August 15th of 1947. 07) Jawaharlal Nehru hosted the tri-color Indian National flag at the Red Fort and he became the first Prime Minister of our nation. Thank you for your visit and the comment. Kindly, do keep posting your suggestions and feedback.